'Nuff said. If you disagree, I don't want to know you. You probably aren't a very nice person. Okay, you might be a nice person, but c'mon. 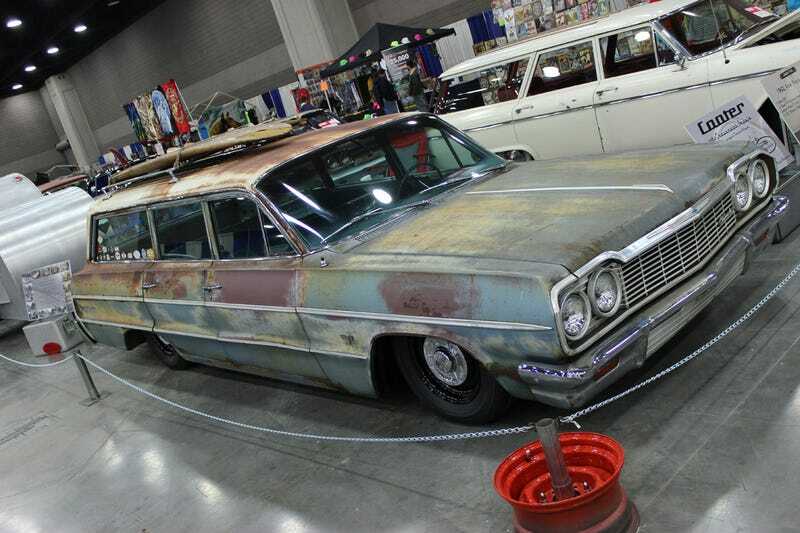 A Chevelle wagon with a surfboard slapped to its roof rack has to stir your loins, right? Right? I'll have more from the Louisville Auto Show/Carl Casper Custom Auto Show throughout the week. Enjoy!